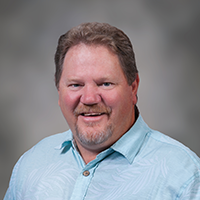 Joseph Higgins | Allana Buick & Bers, Inc.
Mr. Higgins is a Principal and the Hawaii Operations Manager at Allana Buick & Bers (ABBAE). He has over 30 years of experience with the engineering, installation, and service of building mechanical systems. He is responsible for supervising all projects throughout the Hawaiian Islands. Mr. Higgins is responsible for all operations out of ABBAE’s Hawaii office. Mr. Higgins is the lead mechanical engineer responsible for managing construction projects. He conducts project investigations, performs sampling and testing analysis, provides quality assurance monitoring, and prepares construction documents. Mr. Higgins has expertise in the replacement and upgrade of building HVAC systems, Plumbing and Piping Systems, Energy Management Systems, Solar Thermal and Solar PV systems, and Energy Audits.